DEAR JERRY: You probably have seen the widely-publicized story (CNN, MSNBC, etc., etc.) about the “world's biggest insect,” the giant weta bug. Since this species is pretty much confined to New Zealand's Little Barrier Island, I'd not heard of this insect until now. I found several YouTube videos about this bug, including one where a man eats a live weta bug. I swear I am not making this up! Even so, it seems nearly impossible that a song about a weta bug wouldn't have something to do with real weta bugs. Where else did they get the name? It can't be a coincidence, or can it? DEAR CARMEN: And I foolishly thought my study of entomology would never be useful. The recording now bugging you is a late 1958 release by the Coolbreezers, issued by Bale (No. 100), a D.C. label. To simply listen to the lyrics, whether spoken or sung, anyone could think they were hearing “eat a weta bug,” especially someone aware of the weta bug, a plentiful source of protein, or so I'm told. Against all odds, after several spins of “Eda Weda Bug” on your behalf, I am convinced it is a coincidence. Beyond the homophonic “Eda Weda” and “Eat a Weta,” there is no arthropodal connection. DEAR JERRY: The store where I work plays music from one of the satellite oldies stations, which now includes many Christmas classics, from the 1950s and into the '80s. One of the most played tunes is “Stop the Cavalry,” by the Cory Band. Having never heard any other song by the Cory Band, it has me wondering how many of the now-familiar Christmas tunes are by artists who had no other hits, seasonal or otherwise. DEAR JACKIE: Most Christmas-related recordings from the period you specify are by established hit-makers, making for very few one-Christmas-hit wonders. Also, most of those would not likely be regarded as “now-familiar,” having been somewhat popular decades ago but rarely heard since. Not included are groups assembled for one special cause (e.g., Band Aid), or duets of bona fide stars (e.g., Bobby Rydell & Chubby Checker). IZ ZAT SO? Knowing most of the top-ranking singles and albums artists made at least one Christmas recording, have you ever wondered who is the biggest name exception? That distinction goes to the Rolling Stones, but is not without caveats. Then Mick Jagger did a duet with Joss Stone of “Lonely Without You (This Christmas),” which is on the 2004 “Alfie” soundtrack album. 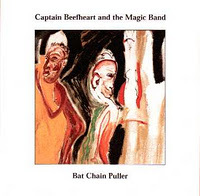 The widely bootlegged Captain Beefheart album, Bat Chain Puller, will finally get an official release in January. Mike Barnes, who wrote a biography on Beefheart, told the site The Wire "The tape is owned by the Zappa estate and although Don didn't want it released they've been true to the work. Not only that, its availability was announced on the anniversary of Don's death and will be released on his birthday." these sets are great, but who can afford them? Musical box sets, encapsulating a portion or all of an artist's catalogue, are hardly a new trend. They've been around for decades. 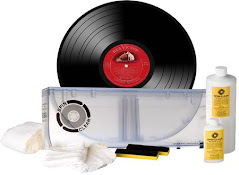 But as labels begin to search for more sources of income, they're increasingly using yesterday's hits to help today's bottom line, from multi-disc deluxe editions of your favourite old album to over-the-top collections of obscurities complete with cool little tchotchkes. And they're also reaching new heights in pricing. Love U2 beyond measure? 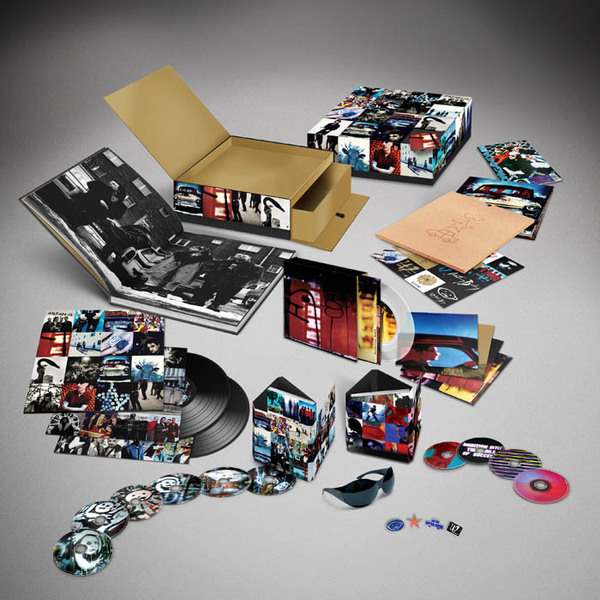 There's the new "Achtung Baby" uber-deluxe edition, a limited, numbered box set that originally retailed for $650. It includes six CDs, four DVDs, a new documentary, a magnetic puzzle box, five clear 7-inch vinyl singles, 16 art prints, an 84-page book, a sticker sheet and a pair of Bono's bug-eyed sunglasses, among many other things. Tony Bennett fans can own his entire recorded output — more than 1,000 of his songs spread across 73 discs and three DVDs — in "Tony Bennett: The Complete Collection," original price around $400. Elvis fans willing to pay the $750 list price for "The Complete Elvis Presley Masters" 30-disc set last year took home more than 800 songs — every master released in chronological order plus more than 100 rarities — and a book by Elvis biographer Peter Guralnick. Nevada-based death metal outfit Blasphemous Creation have recently signed with Russian record label HeadXplode Records. 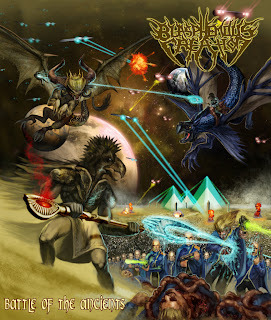 The group's second album, called 'Battle Of The Ancients,' is scheduled to be released in early 2012. The effort was engineered by Josh Williams at Metal Works Recording Studio in Folsom, CA. The cover art was created by Tony Koehl of Sketch The Soul Studios. 'Battle Of The Ancients' is a concept album based on the ancient Sumerian gods the Anunnaki, who were actually flesh and blood extraterrestrials from a planet called Nibiru. It is a fictional story based on lead guitarist/vocalist Isaac Wilson's own beliefs in ancient astronaut theory, that ancient gods were actually aliens from other planets with superior technology and were able to travel through space. The album tells the story of great battles fought between the Anunnaki and a humanoid race called the Plejaren, who were genetically engineered by the Anunnaki to be used as slaves. After defeating them, the "Gods" came to Earth and once again created human beings to serve them as slaves. The band is mulling over making a trilogy and carrying on the story. Van Gelder as Trustees Award honorees; and Celemony and Roger Nichols as Technical GRAMMY Award® honorees. The special invitation-only ceremony will be held during GRAMMY® Week on Saturday, Feb. 11, 2012, and a formal acknowledgment will be made during the 54th Annual GRAMMY Awards telecast, which will be held at STAPLES Center in Los Angeles on Sunday, Feb. 12, 2012, and broadcast live at 8 p.m. ET/PT on the CBS Television Network. For breaking news and exclusive content, join the organization's social networks as a Twitter follower at www.twitter.com/thegrammys, a Facebook fan at www.facebook.com/thegrammys, and a YouTube channel subscriber at www.youtube.com/thegrammys. "This year's honorees offer a variety of brilliance, contributions and lasting impressions on our culture," said President/CEO of The Recording Academy Neil Portnow. "It is an honor to recognize such a diverse group of individuals whose talents and achievements have had an indelible impact on our industry." The Lifetime Achievement Award honors performers who have made contributions of outstanding artistic significance to the field of recording while the Trustees Award recognizes such contributions in areas other than performance. Both awards are determined by vote of The Recording Academy's National Board of Trustees. Technical GRAMMY Award recipients are determined by vote of The Academy's Producers & Engineers Wing Advisory Council and Chapter Committees as well as The Academy's Trustees. The award is presented to individuals and companies who have made contributions of outstanding technical significance to the recording field. As pioneers of Southern rock, the Allman Brothers Band created a unique sound blending elements of blues, country, jazz and rock. Known for their outstanding improvisational and jam-style shows, the band's breakthrough album, 1971's At Fillmore East, is a definitive live concert recording. The band has achieved artistic and commercial success with hits such as "Whipping Post," "Ramblin' Man" and "Jessica," the latter having earned them a 1995 GRAMMY for Best Rock Instrumental Performance. In 1995 the group was inducted into the Rock and Roll Hall of Fame. During his 50-plus years in show business, five-time GRAMMY winner Glen Campbell has released more than 70 albums. In 1967 he won GRAMMYs in both country and pop categories for his hits "Gentle On My Mind" and "By The Time I Get To Phoenix," respectively. Campbell has three recordings in the GRAMMY Hall Of Fame and has also been inducted to the Country Music Hall of Fame. He was also a member of the famed Wrecking Crew, Los Angeles' group of top studio musicians in the '60s. In 2011 he released his farewell album, Ghost On The Canvas, which featured collaborations with Jakob Dylan, Chris Isaak and Billy Corgan, among others. Widely known as the composer of the GRAMMY-winning "The Girl From Ipanema," arranger, singer and pianist/guitarist Antonio Carlos Jobim* was influential in the creation of the Brazilian bossa nova style and its international popularity. His songs and arrangements have been performed by numerous artists around the world. In 1995 he won a posthumous Best Latin Jazz Performance GRAMMY for his album Antonio Brasileiro. Trumpeter Wayne Jackson and tenor saxophonist Andrew Love comprise one of the greatest and most recorded horn sections, the Memphis Horns. Early in their career, the duo appeared on nearly every Stax Records recording, helping the label define its sound. Known for their unique funk/soul style, the Musicians Hall of Fame inductees have appeared on recordings for artists such as Al Green, Elvis Presley, Otis Redding, and U2. As one of the most prolific country artists in history, George Jones has had more than 150 hits over his half-century career. From honky tonk to country ballads, he has remained at the top of the charts with hits such as "White Lightning," "He Stopped Loving Her Today" and "Still Doin' Time." Jones is a two-time GRAMMY winner, Country Music Hall of Fame inductee and a Kennedy Center Honors recipient. At 80 years old, he continues to tour, playing more than 60 shows each year. In the 1960s Diana Ross led Motown act the Supremes, one of America's most successful vocal groups. In the 1970s, Ross began her solo career and had continued success with hits such as "Love Hangover," "Upside Down" and "Missing You." In her nearly 50 years in the entertainment business, she has sold more than 100 million albums and has received a number of accolades for her work, including a Golden Globe and Tony Award and has been a Kennedy Center Honors recipient. Ross recently toured the country with her More Today Than Yesterday tour and will continue touring into 2012. With his unique fusion of jazz, blues and spoken word, Gil Scott-Heron*'s music influenced the creation of the rap genre. The first artist signed to Arista Records, his recordings such as "Johannesburg" and "The Revolution Will Not Be Televised" were known for their sharp lyrics that commented on social and political issues. His songs also helped tell stories of African-Americans in the United States. Scott-Heron continued to record up until his death in 2011, releasing his most recent album, I'm New Here, in 2010. 1. My Morning Jacket - Friends Again 7"
22. Old Crow Medicine Show - Wagon Wheel 7"
The great Frank Zappa was born on this date in 1940 (died in 1993). Carl Wilson (Beach Boys) was born today in 1946 (died in 1998). LaVern Baker recorded "Jim Dandy" in 1955. In 1966, the Beach Boys received three Gold Record citations for the single "Good Vibrations" and the albums "Little Deuce Coupe" and "Shut Down, Vol. 2". 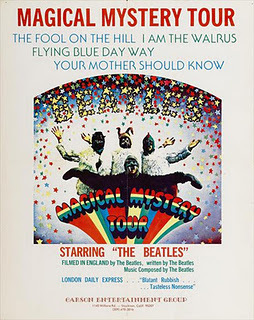 In 1967, the Beatles had a party in London to preview their new film Magical Mystery Tour. In 1968, Glen Campbell topped the Billboard Hot 200 album chart with 'Wichita Lineman.' 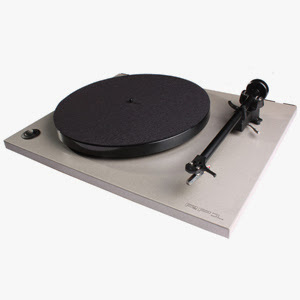 Although the LP would stay on the chart for 46 weeks, it would be Campbell's only number one. In 1968, Crosby, Stills and Nash performed together in public for the first time. In 1968, in Memphis, Janis Joplin made her solo stage debut at a Stax/Volt Christmas party that also featured artists from the two labels, including Booker T. & the MG's and Eddie Floyd. In 1969, Diana Ross gave her last performance as a member of the Supremes on "The Ed Sullivan Show." In 1970, Elvis Presley's stretch limousine pulled up outside the White House in Washington, D.C. One of his guards handed over a letter from Elvis addressed to President Nixon requesting a meeting to discuss how the King of Rock and Roll could help Nixon fight drugs - including getting credentials as a "federal agent at large." About two hours later, Elvis walked into the Oval Office wearing a flamboyant outfit, oversize sunglasses and two huge medallions. He gives Nixon a chrome-plated Colt .45 while the President agreed to give him a Narcotics Bureau badge - but only after learning that the chief of the narcotics bureau had turned down the same request earlier that day and told Presley the only person who could overrule his decision was the President. At Elvis' request, the meeting remained secret for more than a year, until the Washington Post broke the story on January 27th, 1972. In 1971, singer/guitarist//Rock and Roll Hall of Famer Charlie Fuqua, a founding member of the Ink Spots, died at age 61. In 1972, Martha Reeves and The Vandellas play their last show together at Cobo Hall, in Detroit, Michigan. Their recording career spanned from 1963 to 1972, charting over two dozen times. Ten of their singles reached the Top Ten of the Billboard R&B chart and twelve made it into the Top 40 of the Hot 100, including "Dancing in the Street", "Heat Wave", "Nowhere to Run" and "Jimmy Mack." On this day in 1973, "Time In A Bottle" by Jim Croce was the #1 song. In 1974, Harry Chapin enjoyed his only number one single with "Cat's In The Cradle". The song's theme about a distant father and son relationship was suggested to Harry by his wife, after he expressed disappointment about being on tour instead of attending his son's birth. In 1979, the Eagles, Chicago and Linda Ronstadt perform at a benefit show for the presidential campaign for California governor Jerry Brown, who also happens to be Ronstadt's boyfriend. In 1985, Lionel Richie had a number one record for the seventh time when "Say You, Say Me" reached the top of the Billboard Pop chart. He started his string with "Three Times A Lady" and "Still" while he was with The Commodores, before having solo hits with "Endless ove," "Truly," "All Night Long" and "Hello." 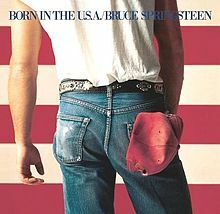 In 1985, Bruce Springsteen's album, 'Born in the USA' passed Michael Jackson's 'Thriller' to become the second longest-lasting LP on the Billboard Top 10. It stayed there for 79 weeks. Only 'The Sound of Music' with Julie Andrews lasted longer at 109 weeks. In 1991, “Bohemian Rhapsody”/“These are the Days of Our Lives” by Queen started a five-week run at #1 in the U.K., the 1975 wordwide hit had been re-released following the death of Freddie Mercury. In 1992, blues guitarist/singer (Cold Feet, As The Years Go Passing By, Crosscut Saw) Albert King died following a heart attack at the age of 69. In 1990, a concert in memory of John Lennon was held at Japan's Tokyo Dome, featuring Sean Lennon, Hall and Oates, Natalie Cole and Linda Ronstadt. In 2006, the Beatles' "Love" sat at #1 on the European Top 100 Albums chart. The collection was produced by George Martin and his son Giles Martin and features music compiled and remixed for the Cirque du Soleil show of the same name. The disc would quickly be certified Platinum and won Grammys in two categories - Best Compilation Soundtrack Album and Best Surround Sound Album at the 50th annual Grammy awards on February 10th, 2008. In 2006, Yusuf Islam, formerly known as Cat Stevens, performed on stage before a live US audience for the first time in nearly thirty years as he promoted his first Pop album since leaving the music world for life as a devout Muslim. Mixing new songs with such old hits as "Oh Very Young" and "Peace Train," he sang with a gentle voice that had changed little from his heyday in the 1970s. In 2009, the American Society of Composers, Authors and Publishers (ASCAP), released its listing of 2009's most played holiday songs, tracked by radio airplay monitoring service, Mediaguide, from over 2,500 radio stations nationwide. 6. "The Christmas Song" (Chestnuts Roasting on an Open Fire) (Mel Tormé, Robert Wells) - played 74,360 times. 8. "Little Drummer Boy" (Katherine K. Davis, Henry V. Onorati, Harry Simeone) - played 55,617 times. Note: The above list represents an aggregation of all different artist versions of each cited holiday song. In 2010, the Recording Academy that organizes the Grammys announced seven artists to be honoured with lifetime achievement awards next February. The list included The Kingston Trio, Dolly Parton and The Ramones.